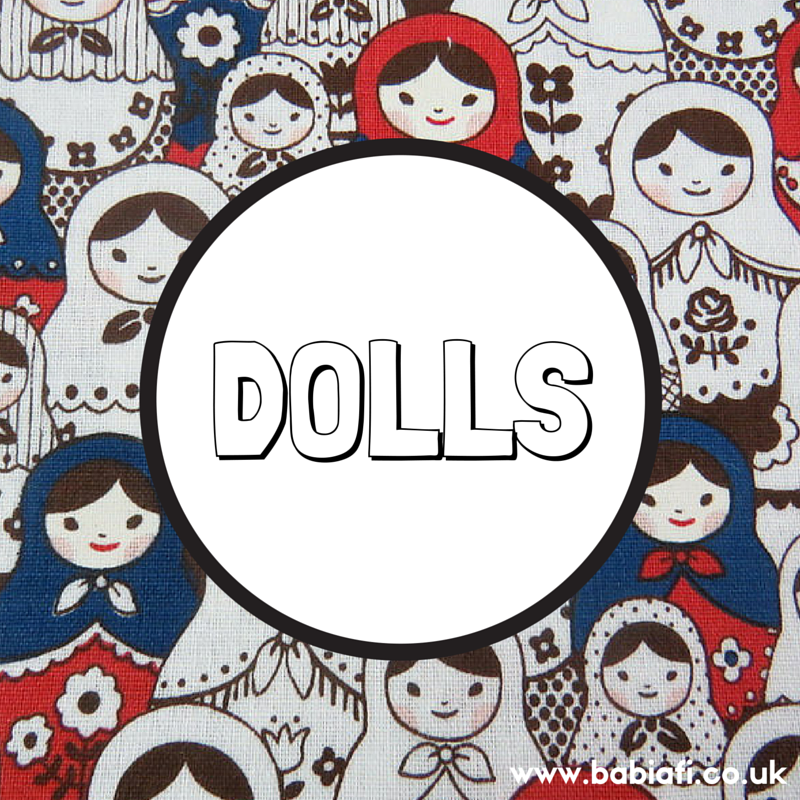 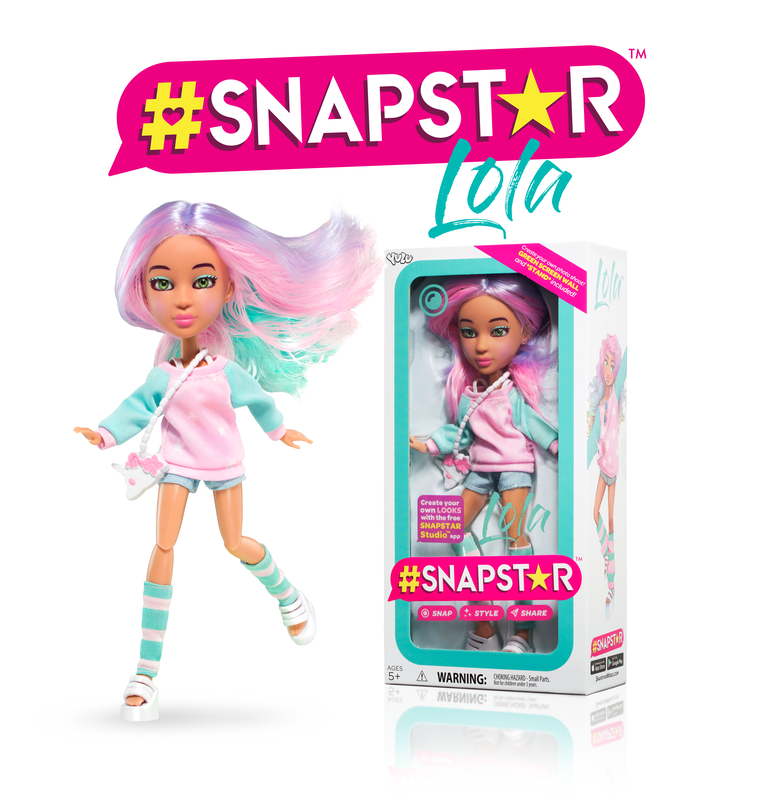 YULU Toys, best known for their active play gizmos, launched a new line of fashion dolls this January. 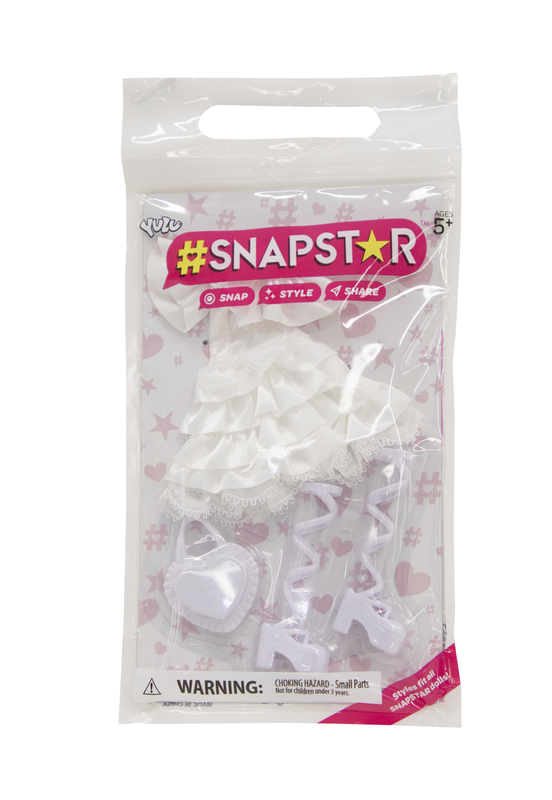 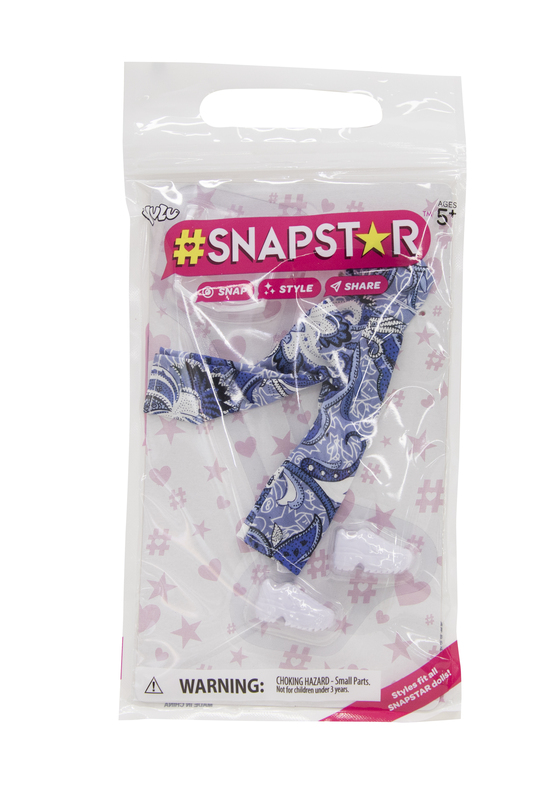 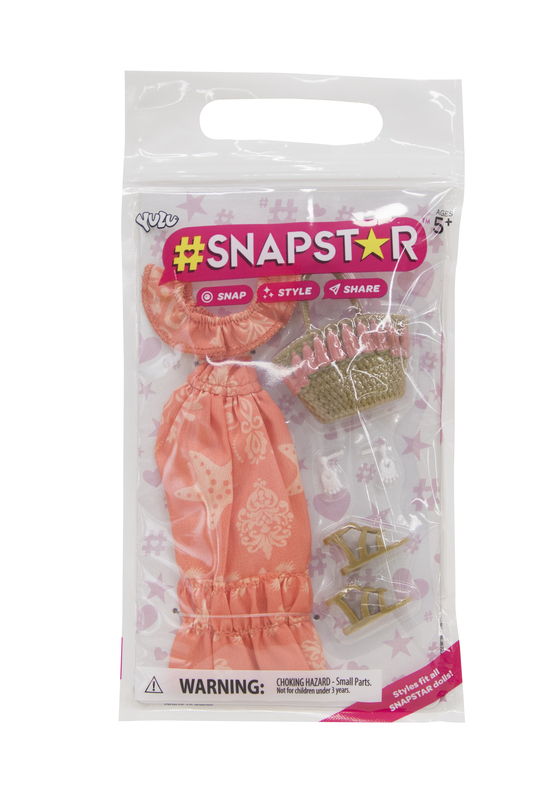 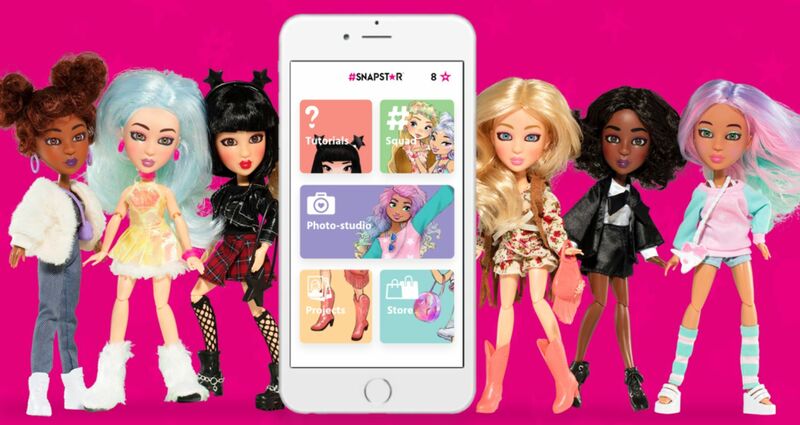 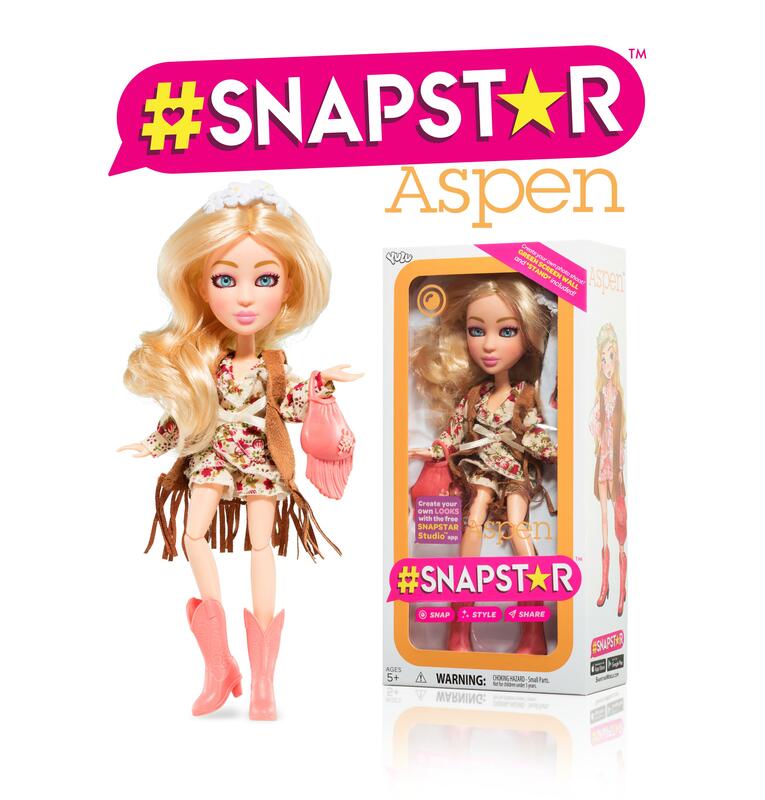 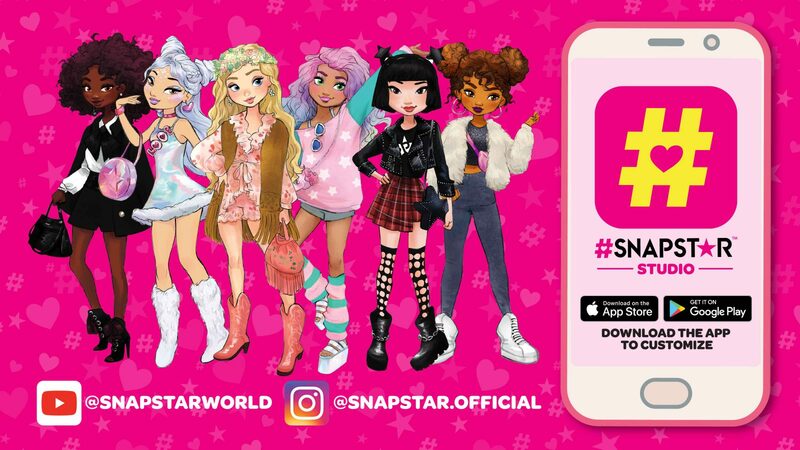 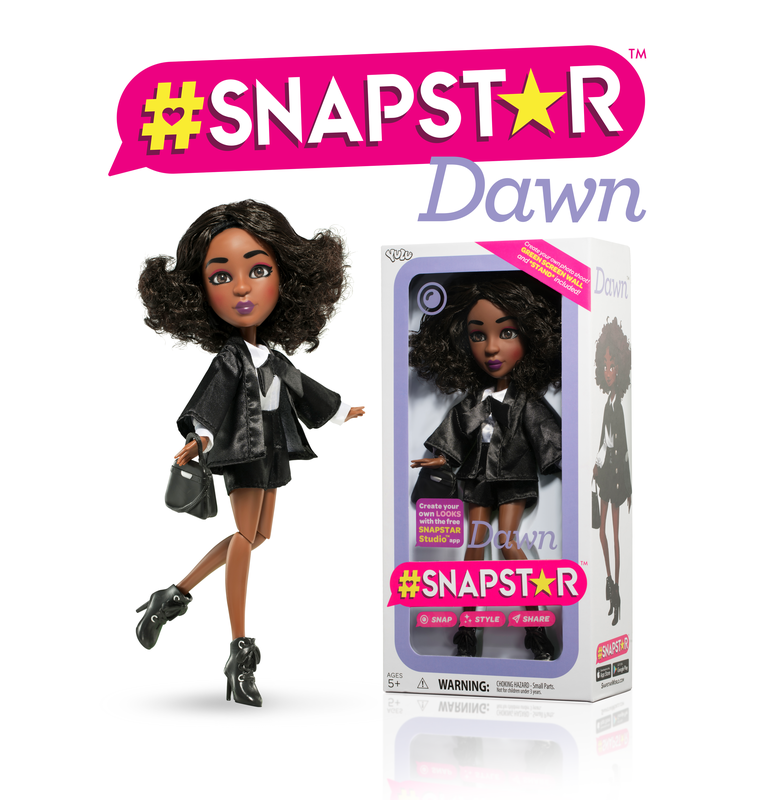 #SNAPSTAR is a range of six girls - each with 'their own unique personality and social influencer persona' - who can be teamed up with a smartphone to convince kids of the wonders of photo editing. 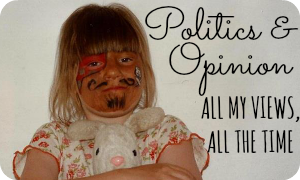 I sound flippant but, actually, I think it's a great idea. 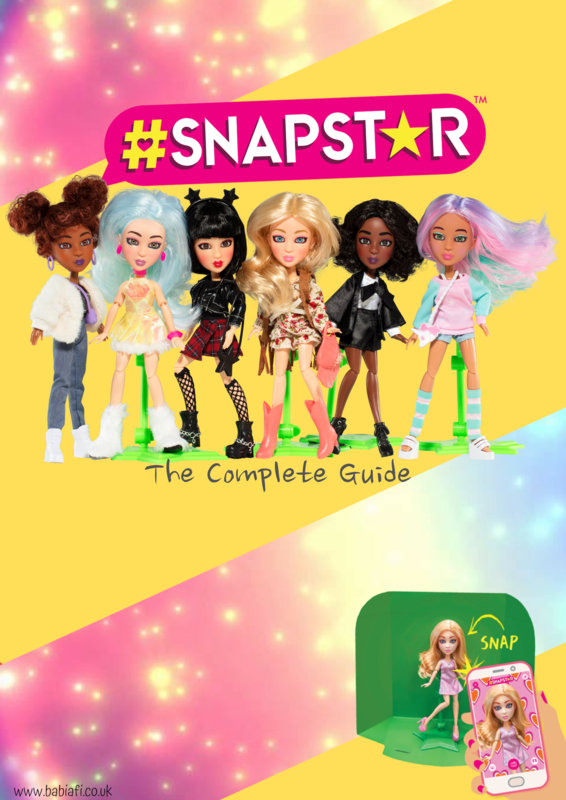 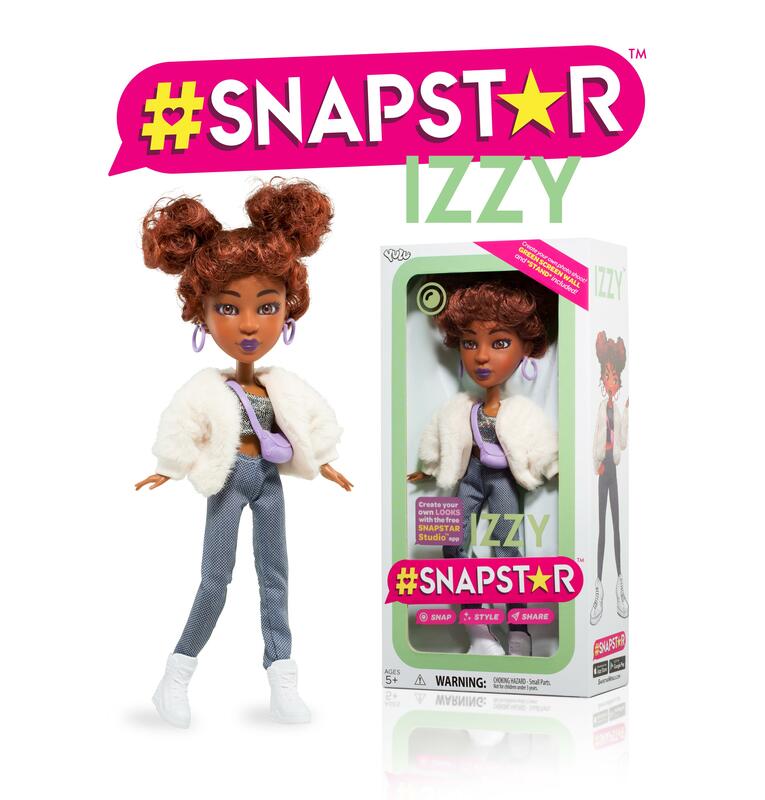 On the one hand it makes for interactive play; each doll comes with a cardboard green screen and a free download of the Snapstar Studio App, so kids can change the backgrounds, hair, and makeup on screen. 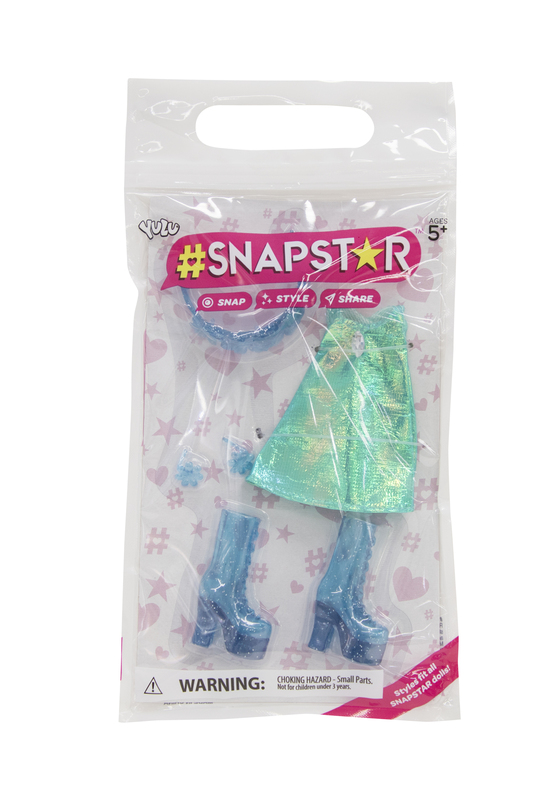 It also has the scope to be a real teaching tool, introducing the idea that social media reality is, well, not quite the same as everyday reality. 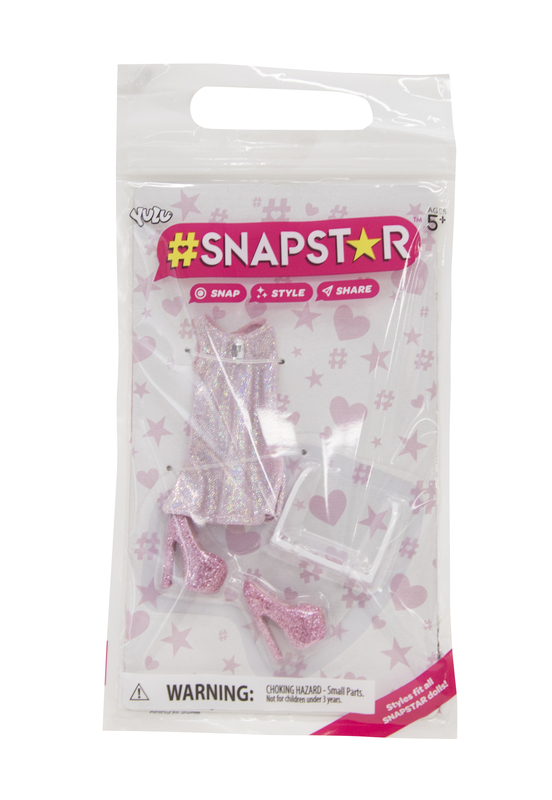 Because it's all fun and games, but the truth is that the #instaenvy worthy shots kids see all day, every day, generally took a lot of time and effort to achieve - both before and after the picture was taken. 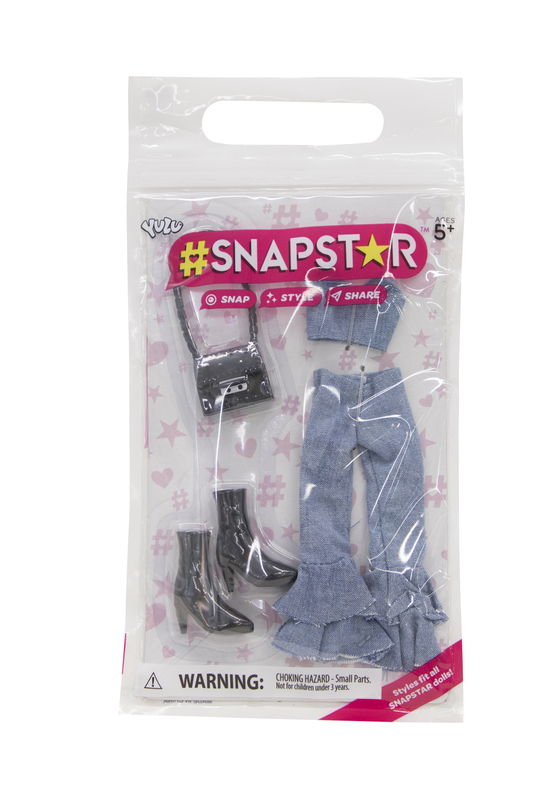 There is also a range of separate fashion packs available. 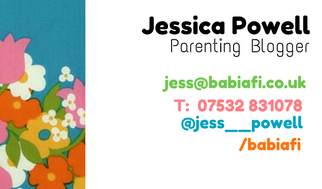 They don't have official names as far as I know, so I've simply described them in the list below. 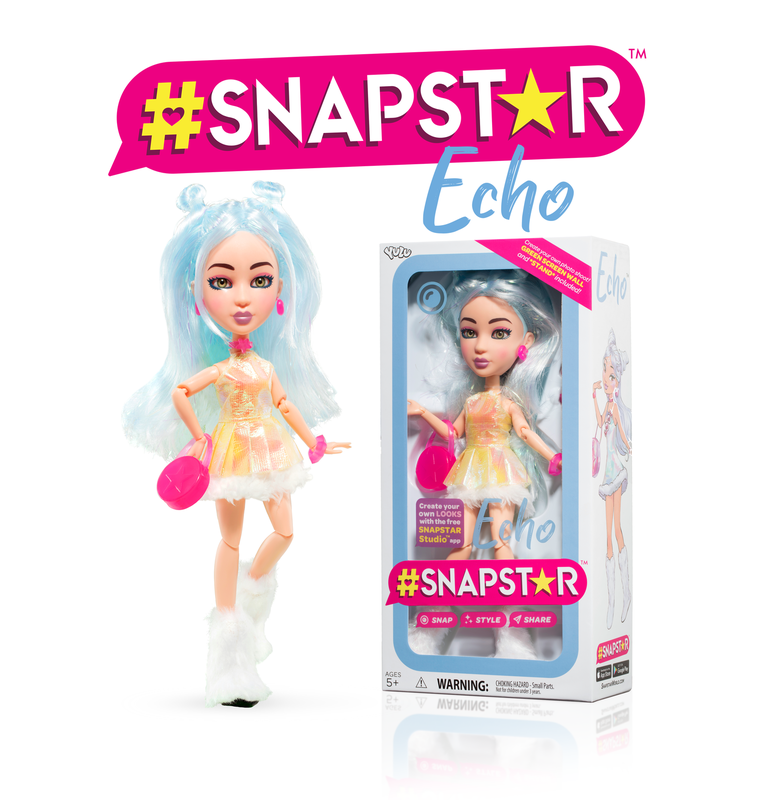 Keep up to date with #SNAPSTAR releases on Facebook, Instagram, Tik Tok, and YouTube.